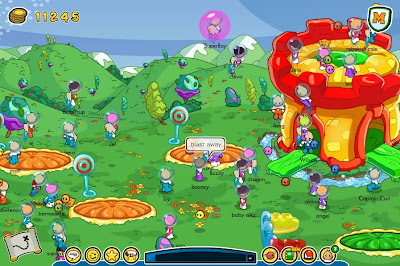 This past weekend I had an awesome party in Little Space Heroes, a fun online game for kids. We had an amazing time and heroes were running around, jetpacking, flying in our Starjets and of course there were balloons and loads of fun and games. We kicked off this time at the plaza and I said hi to all my friends – I can’t believe how many heroes were there and everyone had their pet Kritterz and Glows out. Soon we were handing out special party balloons (including an awesome dino balloon!) and exploring the homeworld. At one point we were all hovering in the sky in our jetpacks! We had a massive party at the Moon Rock Disco. I really enjoy flying around in space in my Starjet – I’ve been playing games to earn coins to get a new Starjet and I’ve also been customising my hero’s homepad. I know some Space Heroes even like to party at my homepad when I’m not there! I’ve been checking out the official Space Heroes Fan Club blog and there’s lots of cool new stuff coming soon. 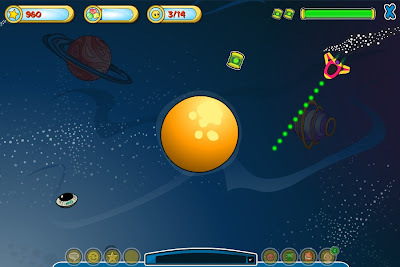 You’ll be able to teach your pet Kritterz tricks like Jump and Fetch and there’s even more new games coming to the homeworld and Jungle Planet. I personally can’t wait to explore the Ocean Planet – it sounds like it’s going to be really awesome! All the new heroes at my party that joined discovered that they got a bunch of free stuff – every space hero gets their own jetpack, bubble blaster and starjet. You can fly to the Crystal Planet and adopt a virtual pet Glow – these creatures are pretty crafty and are really good at finding gems and helping your hero if you ever get stuck. I gave out some Space Heroes memberships – the winners are Spacers, Secret Gazi and Cozza. Well done heroes! See ya there Space Heroes! Check out this cool video by Cozza! Did you make a video? Make sure you post the link in the comments below. YAY I WON A MEMBERSHIP AND GOT MY VIDEO PUBLISHED! Congratulations to Secret Gazi, Spacers and Cozza! By the way, I would have to say this party was great! Even better than the last one!